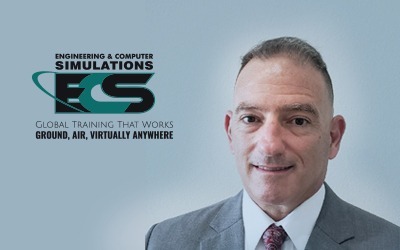 Orlando – May 22, 2018 – Ernst & Young LLP (EY) recently announced that Waymon Armstrong, CEO/President of Engineering & Computer Simulations (ECS), is one of the finalists for the Florida Entrepreneur Of The Year® 2018 Award. The awards program recognizes entrepreneurs who excel in areas such as innovation, financial performance, and personal commitment to their businesses and communities. Armstrong, and other notable Florida business leaders, were selected by a panel of independent judges. Award winners will be announced at a special gala on June 7 in Orlando. Armstrong has been a finalist in the Florida Entrepreneur Of The Year® Award three times before, in 2017, 2009, and 2007. 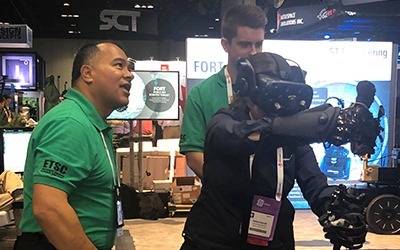 Now in its 32nd year, the program has expanded to recognize business leaders in more than 145 cities and more than 60 countries throughout the world. Regional award winners are eligible for consideration for the Entrepreneur Of The Year National Awards. The award winners in several national categories, as well as the Entrepreneur Of The Year National Overall Award winner, will be announced at the Entrepreneur Of The Year National Awards gala in Palm Springs, California, on November 10. The awards are the culminating event of the Strategic Growth Forum®, the nation’s most prestigious gathering of high-growth, market-leading companies. The Entrepreneur Of The Year National Overall Award winner then moves on to compete for the EY World Entrepreneur Of The Year™ Award in Monaco in June 2019.